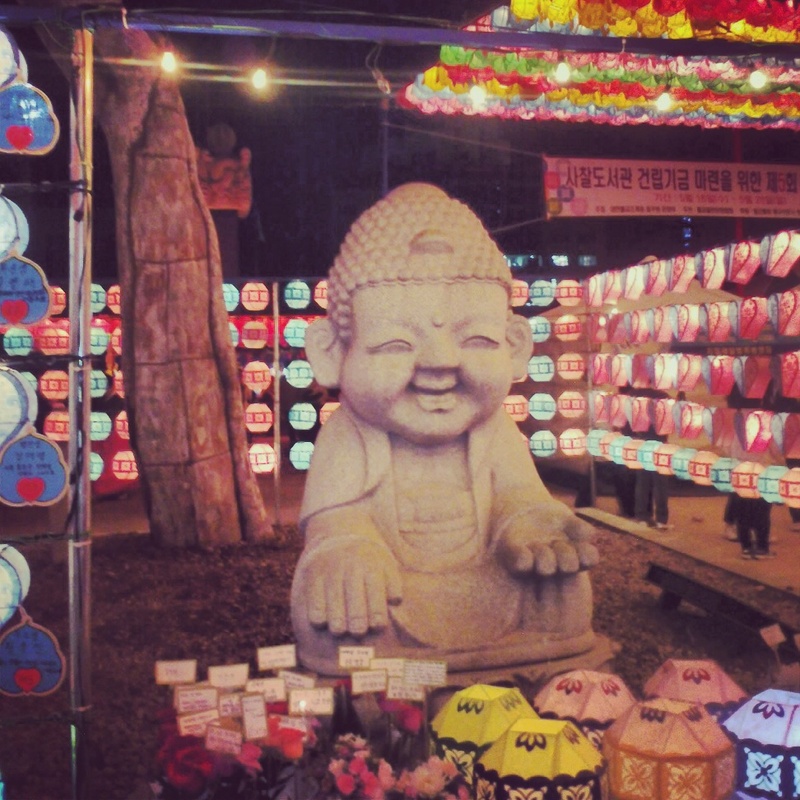 My absolute favorite festival in Seoul has to be the Lotus Lantern Festival. It is held every year on April 8th of the Lunar calendar for Buddha's Birthday. It is as though the city bursts into color with culture and beauty for these few weeks! I do love the delicately decorated lanterns displayed all over the city. The highlight of the festivities for me is the lotus lantern parade. The lanterns are exorbitantly adorned with lights that brighten up any mopey face! The beat and rhythm of the dancers during the parade add more fun and color to the proceedings. As I drove past my favorite temple in Mugeo-dong, Ulsan last week and I noticed that it was decorated with many lanterns and banners. I would suspect that this would be for the upcoming new year. I looked around for the director, whom I met during this year’s Buddha’s Birthday festivities, but he was not in. At any rate, this temple is always such a beautiful place to visit and just walk around. Sadly, last night it was a little on the cold side. At any rate, I got a few shots and ran back to my warm car and headed home. Buddha, please forgive me for the late birthday wishes. Haedong Yonggungsa (해동용궁사) is unique among Busan’s Buddhist temples in that it lies not in the mountains, but on the seafront. It was founded in 1376, during the Goryeo Dynasty, and completely destroyed during the Japanese invasions. The current construction dates from the 1970s, but the temple has remained a major center of worship. In fact, I can’t imagine it being any more popular. Author's note: a version of this article is published in the November 2010 issue of the Groove. In case you needed an excuse to head to Cheonggyecheon, here's an excellent one. 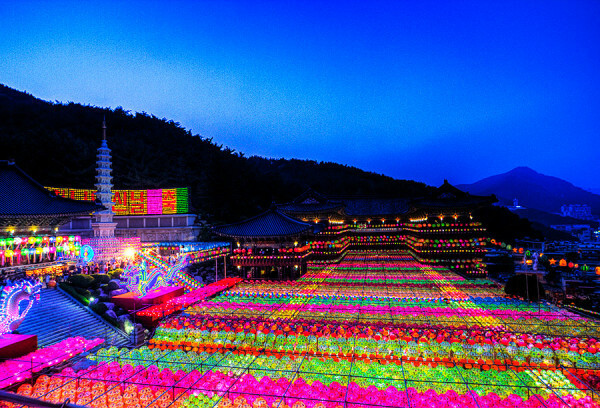 The 2nd annual Seoul Lantern Festival (서울 세계등축제) will host dozens of gorgeous lanterns lighting up Cheonggyecheon. Go for the opening ceremony on the 5th if you want, or head down anytime to appreciate the lights. 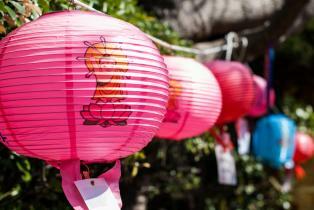 Though the lanterns will be up day and night, head there in the evening to catch them looking their best.